This RSPH asbestos laboratory and project management qualification is approved by the qualifications’ regulator, Ofqual, and accepted by UKAS, as meeting the LAB 30 requirement of having a designated competent person at a UKAS accredited laboratory. This competency qualification is for experienced analysts and surveyors involved in running asbestos testing laboratories and project managers who oversee asbestos removal contracts from start to completion. 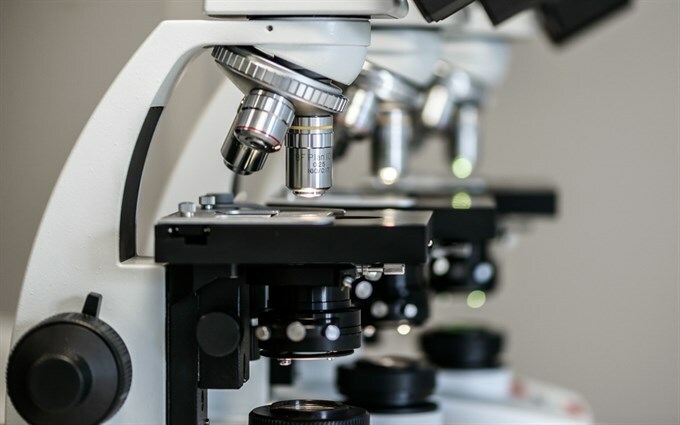 This Royal Society for Public Health (RSPH) qualification has been designed to ensure that candidates fully understand the role of a laboratory manager operating in a UKAS accredited testing lab and the onsite project management of asbestos removal. Possession of this qualification will support the company meeting the accreditation criteria for ISO 17025 and 17020 (testing laboratories and inspection bodies) and the requirements in UKAS documents LAB 30 and RG8. LAB 30 para 8.1.1. - at least one member of the laboratory staff in a position of responsibility should hold a relevant formal qualification, which is supported by evidence of appropriate experience and demonstrable competence. The qualification is made up of three parts. There are two units; ‘asbestos laboratory management’ and ‘project management for asbestos removal work’, which begin with an ATaC induction day and are assessed by assignments; and following successful completion of both units there is a final professional interview. Details of each unit, together with locations, dates and availability, can be found on the individual unit webpages. Once enrolled on the qualification the candidate can choose which unit to commence first, knowing that this unit must be fully completed and passed in eight weeks, before progressing to the second unit. Each unit begins with an ATaC induction day, during which candidates will be set three assignments relating to the specific unit, and given guidance on what is looked for within these assignments. Also, each candidate will be allocated an ATaC tutor, who will be available for assistance while working on assignments. The assignments are structured to ensure the candidate fully understands; the role of a laboratory manager operating in a UKAS testing lab and on-site project management of an asbestos removal contract. Once completed candidates can submit individual assignments. Once a candidate has successfully completed both units, they can then move to the final stage, a professional interview. The interview will be carried out by a panel of two and based on the assignments submitted, and will be recorded as evidence for the external verifier. On successful completion of this qualification, the candidate will be issued with a qualification certificate from RSPH, and will have achieved ‘competent person status’ as defined in LAB 30. Candidates will be required to have the following qualifications before enrolling on the RSPH Level 4 Certificate in Asbestos Laboratory and Project Management. Either: RSPH Level 3 Awards in Surveying, Bulk Analysis, Air Monitoring and Duty holder; or BOHS S301 written examination; or BOHS W504 exam with personal learning plan (PLP); or BOHS P modules P401 to P405. It is possible to use a combination of RSPH and BOHS qualifications as long as all relevant disciplines are covered; for example, BOHS P401 and P402, RSPH Level 3 Air Monitoring and RSPH Level 3 Dutyholder. The Asbestos Laboratory Management (Unit 1) will involve an ATaC induction day at an ATaC centre, and eight weeks to complete three assignments. The Project Management for Asbestos Removal Work (Unit 2) will involve an ATaC induction day at an ATaC centre, and eight weeks to complete three assignments. Once a candidate has successfully completed both units, they can then move to the final stage, a professional interview. For Members the fee is £1,200 (exc vat), which is paid in instalments when booking each unit, and a registration fee of £70 (zero vat) paid when enrolling on this qualification. For Non-Members the fee is £1,350 (exc vat), which is paid in instalments when booking each unit, and a registration fee of £70 (zero vat) paid when enrolling on this qualification. For an initial enquiry please contact our training admin team on 01283 505777. Following this the candidate will receive a registration form, which will need to be completed and submitted along with copies of all relevant certification and an ATaC booking form. Candidates now have access to a qualification which has been accepted by UKAS, meets the requirements of LAB 30, and is nationally recognised through Ofqual.